A symbolic moment earlier, I updated my Linked-in profile. From September 1st I am Communications and Collaboration Architect at the MERCEDES AMG PETRONAS Formula One Team. Excited doesn’t really cover it – even if there are some “new school” nerves too. I’ve spent the last three years working with people I thought the world of, so I’m sad to say goodbye to them; but this is a role I’d accept at almost any company – but at a company where I’d take just about any role – I’ve joked with that if they had offered me a job as senior floor sweeper I’d have asked "how senior ?" People I’ve told have said “Pretty much your dream job then ?”. Yes, in a nutshell. F1 is a discipline where you can lose a competitive advantage by careless talk: anything to do with the car or comings and goings at the factory are obviously off limits. Pat Simmons of Williams said in a recent interview that the intellectual property (IP) in racing “is not the design of our front wing endplate, you can take a photo of that. The IP is the way we think, the way we operate, the way we do things.” The first lesson of induction at Microsoft was ‘Never compromise the IP’ (and I learnt that IP wasn’t just the software, but included the processes used in Redmond). So although it’s been part of my past jobs to talk about what the company was doing, at Mercedes it won’t be. I find F1 exciting – more so this season than the last few – and it’s not really possible to be excited but not have opinions about the sport, although things I’ve said in the past don’t all match my current opinion: the James Hunt/ Niki Lauda battle of 1976 is almost my first F1 memory, if I still thought of Lauda as the enemy I wouldn’t work for a company which had him as chairman. In fact one of the initial attractions of the team for me was the degree I found myself agreeing with what their management said in public. Commenting on the F1 issues of the day from inside a team looks like something which needs to take a lot of different sensitivities into account and it’s something I’m more than happy to leave to those who have it in their job description. If I have interesting things to blog about things which don’t relate to motor sport or the job or about software which anyone working with same produces could find out for themselves (i.e. not specific to one company), then hopefully the blog posts will continue. Comments Off on The start of a new chapter. 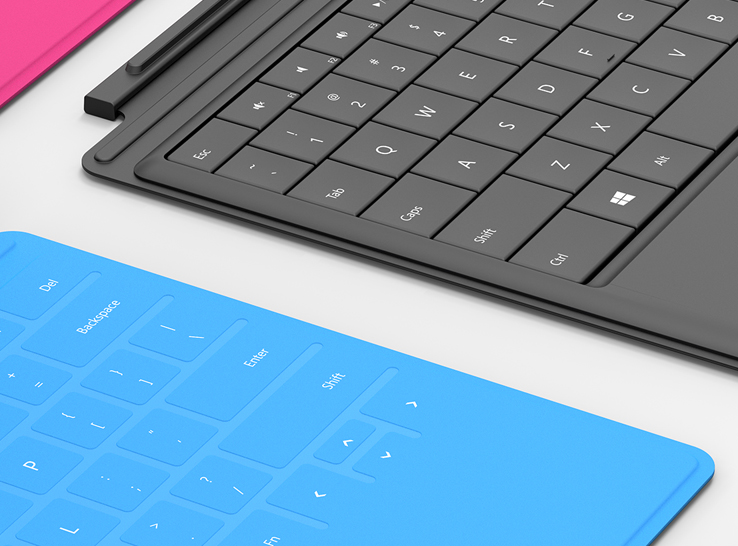 Microsoft’s new surface. All it needs is love. People who buy Apple stuff worry me. Their attachment to one brand of equipment is somewhere between addiction and religious fervour. It is Love. For over 20 years I’ve used Microsoft stuff, because it is simply a better way to get a job done. Some of the people in my office use Macs and can’t do their job without creating a virtual PC running Windows. It doesn’t reduce their love for their Macs. As the saying goes: The opposite of love is not hate, it’s indifference. And its hard to feel anything but indifferent to the products of any of the major PC makers. The Dell in front of me it is well made, well specified and does everything I ask and more. But Love it ? Most PC users will tell you loving a computer is crazy (which is why Apple folk are so disturbing). I think Microsoft’s new surface tablets are trying to create a Windows machine which people – if they can’t actually Love – feel more than indifferent about. Surface is two Machines: one uses an ARM processor and runs the new Windows RT, so won’t run all your existing software. The other uses an Intel chip – and is thicker and heavier to give it 1/3 more battery life (roughly 130cc and 225g more to get 40 Watt Hours instead of 30. ), but that means it should work with existing software and USB devices. I can plug in a mouse and keyboard, and attach two monitors via display port and have a system just like the one I have today. Unplug it and I can use it iPad style or take the “touch Cover” keyboard * and write documents or use the Pen to annotate documents if that’s what I choose. The ARM version has office built in, but no pen and a different video connector (so probably only 1 screen). Even with its smaller battery it will probably run for longer (though like the shipment date and price, battery life is yet to be confirmed). Mary-Jo Foley wrote of the launch of Surface “It’s the end of an era. Or maybe the start of a new one.” Indeed. Microsoft began by providing OEMs (including Apple) with BASIC, then with Operating Systems. OEMs where very much the Geese that laid golden eggs for Microsoft – during the 10 years I worked at there (not in the OEM part of the business) there were times when I felt that the company forgot the problem with Geese is they produce a lot of … guano. The OEMs have been poor on design and innovation for a long time: Bloomberg business week no-less talks about how the PC industry should be shamed by Surface, and talks about recent years of PC Development as “the great stagnation”. The Bloomberg piece puts some blame on Microsoft and Intel for taking too much from the OEMs, I doubt that if the chips and OS had cost less the difference would have gone into innovations that add value. That lack of added value means margins on PCs aren’t great and that’s led manufacturers to take money to install all manner of junk on the machines they ship. The whole DoJ saga – which grew out of Microsoft trying to prevent OEMs installing software it didn’t like – left a situation where the company was required to sell Windows to anyone who wanted it and could not do anything to prevent an explosion of crapware. Lots of people are asking WHY has Microsoft chosen to get into making computers? There answer is either (a) It can make much more profit by selling computers and operating systems together. or (b) it has an idea of what a PC should be in the second decade of the 21st century and it doesn’t trust PC makers to deliver that by themselves. If I were fielding calls from angry OEMs upset Microsoft arriving in their market I’d make the case that no OEM would have made a product like this: their lack of a similar product both lost them right to complain and forced Microsoft to do something: if they do have something , Microsoft is saying they won’t undercut on price, something we won’t know for sure until the units go on sale. Some people wonder if Microsoft will aim to make the same from selling the hardware as anyone else and make the price of Windows on top of that; or if they will think $x of margin per unit sold is the same whether they sell a computer/OS combination or they sell a licence to an OEM. The latter would make it very hard for OEMs to compete; but Microsoft trying to make desirable hardware profitably ? That’s a lot less of a threat to OEMs. Apple doesn’t sell as many units as Samsung, but the profit to Apple per unit is more than the retail price of the Samsung. When the iPhone was launched I questioned whether there was sufficient market for a phone at that price point: it has actually sold more units than Apple envisaged at the start: which proves one thing – people will pay handsomely for something they love. Comments Off on Microsoft’s new surface. All it needs is love. It has a lot of Parallels with Desiderata, and like desiderata it has been mis-attributed. Baz Luhrmann used it for “Everyone’s free to Wear Sunscreen” , and if you haven’t come across it before you could use the five minutes in many worse ways than watching the youTube version below. At the start of a new year I’m probably not alone in wanting to share advice – which Schmich describes as “Fishing the past from the disposal, wiping it off, painting over the ugly parts and recycling it for more than it’s worth.” I think the two texts are as good as anything I could offer of my own, and offer them here as infographics. You can get them from Skydrive. I’ve lost one of my best jokes recently. I first heard it from the mouth of Jack Dee; “Those drawings of ‘planes landing on water they have on the safety cards … I want to see a photo: if it didn’t fly why should I believe it will float …” Of course the recent “Miracle on the Hudson” proves that it can be done, although we shouldn’t expect it that often, it needs calm water, some luck, and close to perfect flying. The thing I found most remarkable was having pulled off a quite remarkable landing the pilot did a final check down the length of the cabin to make sure everyone had got out. That, rather than the feat of flying, justifies the use of terms like “hero”. Since I took up scuba diving I’ve become interested in how accidents happen. A dose of aviation in my past, combined with the good records which are available (and the death of a friend on Garuda 152) have made me more interested than perhaps I should be in air accidents. There are three root causes of accidents: people, environment, and equipment. In dangerous environments – whether it’s on snowy roads, under water or in the air, we have both processes and equipment to handle the danger. Where life depends on a piece of equipment either a process or redundant equipment means a failure shouldn’t be fatal. So, where we recognise risk, accidents have a compound cause rather than an isolated one (If you think the Air France Concorde crashed only because a burst tyre, read this report on how, but for a set of other failures, it might have been saved) My friend died because her plane was flying in limited visibility (environment) and air traffic control muddled up left and right in an instruction to the pilot (human error), but the courts found the crash would have been avoided if the Ground Proximity Warning System on the aircraft had worked advertised (equipment). Human error can be a failure to speak-up. Think of the charge of the light brigade, read the account of the engineer who knew that the “O” rings on the space shuttle challenger would fail in the cold and watched the decision to postpone the launch being changed (scroll down to the bit after “Figure 10” if you don’t want to read it all). Or consider the Tenerife air disaster – the worst ever – which was a combination of environment (fog) and human errors. A KLM 747 (with their most senior captain at the controls) attempted to take off, without the proper clearance when a Pan AM 747 was taxiing towards it on the main runway. The crew could didn’t seem to feel able to tell the captain to stop: to quote from one of the official reports. The Pan Am aeroplane responded to the tower’s request that it should report leaving the runway with an “O.K., we’ll report when we’re clear.” On hearing this, the KLM flight engineer asked: “Is he not clear then?” The captain didn’t understand him and he repeated: “Is he not clear that Pan American?” The captain replied with an emphatic “Yes” and, perhaps influenced by his great prestige, making it difficult to imagine an error of this magnitude on the part of such an expert pilot, both the co—pilot and the flight engineer made no further objections. The impact took place about thirteen seconds later. When disasters are avoided, as they are there seem to be two themes. First, as a scuba instructor told us on a safety course “keep thinking about the options”. At the trivial end of the scale, the organizer of the event I was at in Belfast was impressed having changed airports, I had a fallback plans for the ferry if that didn’t work. I could hear Ed Harris as Gene Kranz in Apollo 13 saying “Let’s work the problem people”. Of course Apollo 13 is the other end of the scale. In the movie script at least, flight director Kranz gets quotes like “What do we got on the spacecraft that’s good?” and “I don’t care about what anything was DESIGNED to do, I care about what it CAN do.” Apparently the captain in the Hudson ditching is also a qualified glider pilot, but the A320 wasn’t designed to be a glider, with only 3000 feet to play with and a glide ratio not much better than 10 feet forward for 1 down, it can stay airborne for only couple of minutes (and cover about half a dozen miles)… the transcript shows 2 minutes 15 from the first call of the bird strike to the controller saying radar contact has been lost. It also shows the pilot was thinking about the river as the only viable option after 40 seconds. Worst case that would have killed everyone on the plane. Worst case trying to get to a runway was too awful. The FAA site has an MP3 from the air traffic control tapes(things begin about 7:50 in the file), the calm of the captain has drawn a lot of attention, but that of the controller also deserves a mention. When told of the bird strike he comes back with a heading for the aircraft and then tells the La Guardia to hold all departures and what the situation is, he’s also helping with other possible runways, and continuing to handle routine traffic. As yet, the cockpit voice tapes have not been made public, but I’d bet there was both relative calm there too , AND evidence of the second factor in disaster avoidance; team work. It comes up again and again whether it’s Apollo 13,or the Gimli Glider – in the latter case an aircraft ran out of fuel at 43,000 feet, and landed on an disused air force runway: the captain was also a glider pilot, and credited the co-pilot with cockpit management of “Everything but the actual flight controls” . There are lessons for business in this. Good IT people know about dealing with single points of failure, and know that reliability is the result of process more then underlying technology. One article I read talks about what business can learn and refers to something General Electric CEO Jack Welch said: that effective leaders exhibit a particular set of attributes in a crisis: “forthright, calm, fierce boldness”. The survival of the Apollo 13 astronauts was at least party because the leader on the ground – Gene Kranz showed those qualities. If I think about what’s happening in the economy at the moment and look for those qualities among political and business leaders they are disturbingly rare. 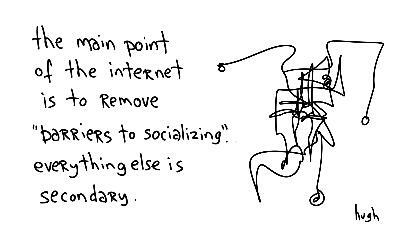 On Geekdom, Windows Live, Twitter and Stephen Fry. Just another weekend post. First , a geeky joke which my wife told me after hearing it on BBC Radio 2. “I bought a book called 1001 things to do with binary. But when I got it home it only had nine in it”. While we’re with all things Geeky, I always thought that proper developers, guys like Mike Ormond, looked down on PowerShell, so it was a pleasant surprise to see he’s blogging about his experiences with it – starting with some stuff I did , he’s using it to link his blog with twitter. Staying with twitter – we’re experimenting with projecting interesting stuff from it on the wall in the office. Something I saw on there made me go an have a look at something Long Zheng wrote about Windows 7 (I hope we make changing UAC levels generate a UAC prompt before release). The next post down Long’s blog is about using RSS to populate the pictures on the Windows 7 desk top… that might make another post here when I’ve played a little more, but that post took me one of Jamie Thomson’s , which introduced me to a Windows Live service I was previously aware of named frameIt. Frame it doesn’t store your pictures but it rounds up the stuff you want as a single RSS feed and pushes them down to digital picture frames – or anything else which takes pictures as RSS attachments – like the Windows 7 desktop. I think the digital frame is a great way to share pictures with distant parts of the family and combining a service like frameit with Wireless-equipped frame takes some of the friction out of the process. Since I mentioned Windows Live: I’m a bit hacked off with it on a couple of counts. First (and staying with photos), I used to have a couple of Albums in a live space, I didn’t want people to have to sign in to see them . I also have my Skydrive presentations folder linked to on the side of this blog. One system for a work persona and the other for a non-work persona, but recently the folks at live decided to put my spaces folders within 1 click of my presentations folder. I need to use different accounts (or services) to keep a gap between them. So I dumped my photo galleries from live spaces. Secondly Skydrive has recently acquired the most annoying and intrusive advertising; I have talked about this whole “Aspergers-Like” issue I have with flash-based Look-at-me Look-at-me animations on web pages: I just can’t focus on the rest of the page with that going on. On Friday, Live was trying to sell me some diet product or other with “before” and “after” shots of a woman in her underwear. I don’t have a problem with pictures of women in their underwear per-se , indeed I think Horst’s Mainbocher Corset is as good a piece of art photography as I’ve seen. These, by contrast, are artless. I don’t want to explain why there is a partially dressed person on my screen at work but it’s the constant hopping from one picture to the other which is the real nuisance. I’m actually a bit ashamed that Microsoft run such ads on our sites. Normally IE7 pro filters out this kind of junk, but Live uses a twisted combination of files which defeats the filter. IE 8 helped me find the .JS file which perpetrates this ad-crime, and I put that site on “Restricted” (i.e. run no scripts) list. Sorted. This inability to shut out noise is one of the things which has kept me off Twitter (that and “how can you develop an idea in 140 characters ?”). I’ve never quite got past Stephen Fry’s initial impression of it as “the weirdest and naffest idea I’d ever come across”. As he puts it “A lot of that is pretty banal and commonplace it’s easy to mock”. Indeed. But Eileen and others have been telling me that with some of the twitter clients out there now, and using some of the methods people have for working with it I might be able to cope, so I might experiment with it in the near future. (I might have a use for that PowerShell script of Mike’s) Hang it all, Fry has interesting ideas to develop, and yet finds a use for something where you have to live in 140 characters, and copes with having a follower population the size of a decent town (On Thursday he said on his blog that he had 80,000 of them, today his twitter page reports over 94,000) so there’s no way he is reading every last “banal and commonplace” thought they have. Stephen Fry’s explanation of his conversion to twitter is more interesting than most reasons given for people use it; and he was talking about it on Jonathan Ross’s TV show recently and apparently Tweeting during it. ( Ross is another user by the way) Fry described the first show of Ross’s new series as his return form the “naughty step”. Ross is supposedly the highest paid personality on British TV, and his suspension following the phone calls he made on BBC Radio 2 must make those some of the most expensive calls in history. Talking of Radio 2 ….that’s where we came in. Comments Off on On Geekdom, Windows Live, Twitter and Stephen Fry. Just another weekend post. Camera-phones One Note and OCR. Only The Times brings you the UK’s first national spelling championship for schools. I just grabbed a snap with my phone (the handles for standing passengers make a great camera rest to keep shake down) and when I hooked up to my PC I dropped the picture into OneNote: One notes does OCR on pictures offers a “copy text” menu option when you right click them. I’m finding myself using this more and more, even for slides with a variety of cameras and even screen grabs of on-line presentations. I’ve noticed than some phones now do recognition of input from business cards via their phones. I wonder how long it will be before the whole thing can be done in the phone without needing the PC to do the OCR part. Comments Off on Camera-phones One Note and OCR.